Fastener coatings from Metal Coatings Corp. provide corrosion resistant and lubricating properties for all types of industrial fasteners. 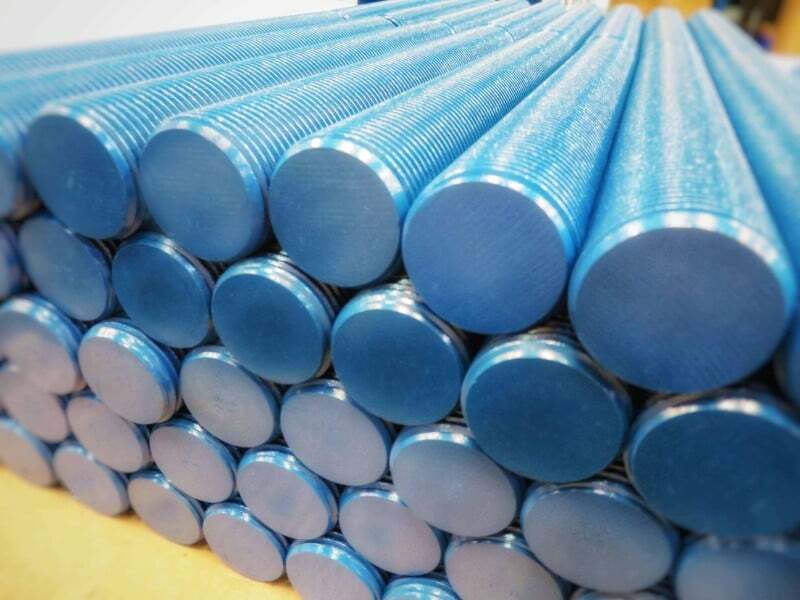 Our unique fastener coatings ensure that the life of the fastener will be substantially extended. The use of our exclusive FluoroKote#1 ® reduces torque allowing for a tighter fit with less effort. Ease of application and removal are great when fastener coatings are applied before use. Learn more about the benefits of FluoroKote#1 ® fastener coating. FluoroKote #1® Coating: Our own proprietary fluoropolymer coating was formulated with superior characteristics for maximum fastener life and the easiest possible removal...even under the harshest conditions. For full details on FluoroKote #1®, click here. Overnight delivery: A 24-hour coating staff is geared for same day or overnight emergency service on fastener coating services. 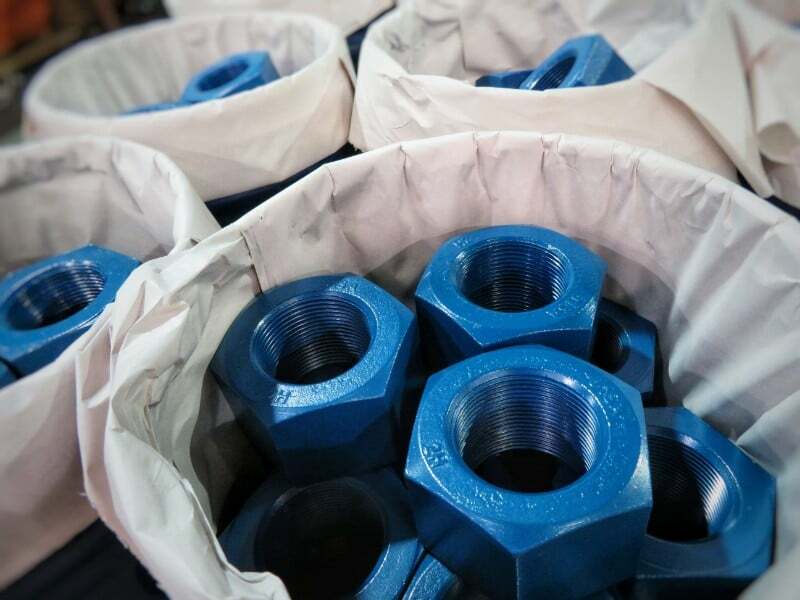 Maximum capability: 150,000 square feet of production space is dedicated to our ISO 9001 fastener coating facility, with computerized equipment yielding 80,000 pounds of product per day. 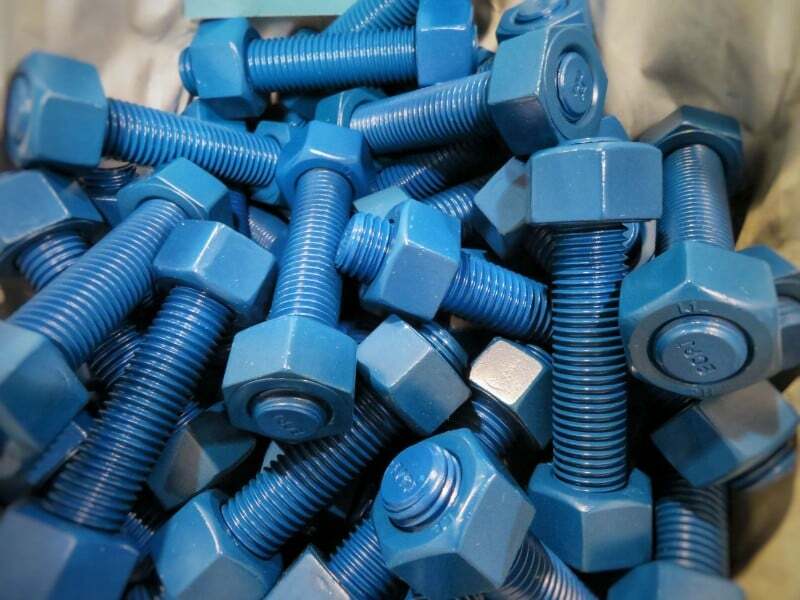 Click below to learn more about coating bolts to prevent rust and to view our complete selection of fastener coating materials. FluoroKote #1® Our own proprietary fluoropolymer coating was formulated with superior characteristics for maximum fastener life and the easiest possible removal...even under the harshest conditions.